Sources close to Apple’s supply chain have revealed that the iPad Mini 2 will be shipping with the retina display. This will vastly increase the display quality on the tablet, pushing it beyond the Nexus 7 and Kindle Fire HD. The iPad Mini hit markets worldwide and one of the main reasons not to buy it was the fact the tablet was sitting on old technology. Apple had made the Mini redundant so they could hit that cheap price tag and also so they had better features on the successor, the iPad Mini 2. With this in mind, we suspect the retina display won’t be the only new feature that will hit the iPad Mini 2. Apple will add the A6 processor and more RAM, amongst other internal features seen on the iPad 4 and iPhone 5. We have already guessed that Apple would make this move to current components, although we hope they will market the iPad Mini 2 at the same price they did with the original, if not a little cheaper to fully compete with Google and Amazon’s offerings. AU Optronics is making the HD retina display units for the next generation iPad Mini’s, according to another source. Apple will be looking big with the iPad Mini 2, considering the huge success of the original, already selling over 20 million units. Apple needs some differentiation between the two models. If both have the same features and the iPad costs $200 more than the Mini, iPad 10-inch sales will drop exponentially. With the iPad Mini 2 and iPad 5 set to be released sometime in Q2 at an Apple event, we believe Apple will add current end specs to the iPad Mini 2, while adding new specs to the iPad 5 to make it seem like a more expensive tablet. Also set to be released at this event is the iPhone Math and iOS7, although this is all speculative. 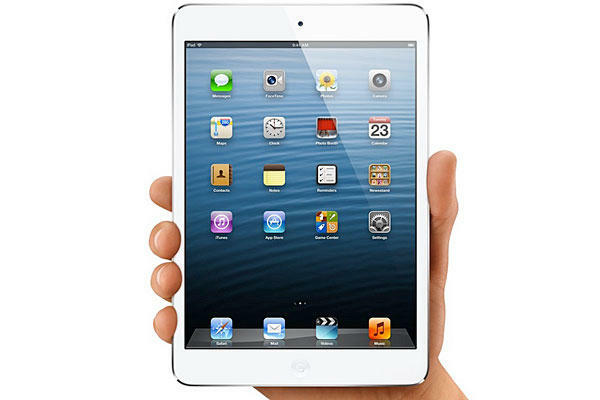 What is the one feature you would like to see on the new iPad Mini 2? Tell us in the comments!